An evening out partying at one of Exeter's Nightclubs! 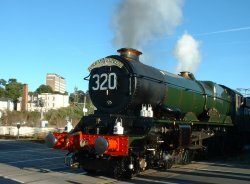 Visiting Exeter or looking for a night out in the city? 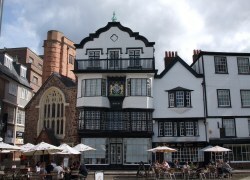 This page lists some of the Exeter nightclubs and music venues available. These are not listed as editor recommendations. 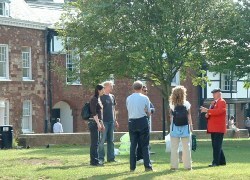 The listings have been taken from the ExeterViews.co.uk entertainment directory that provides a connection to all things local for the resident or visitor to Exeter. A number of the Exeter's nightclubs and music venue are within easy walking distance of the city centre. A selection of entries taken from the ExeterViews.co.uk Nightclubs Directory. Exeter nightclub located in Mary Arches Street. Nightclub and wine bar in Little Castle Street, Exeter. Bar and Nightclub. Mary Arches St, Exeter.